THIS IS THE ONLY CHOCO FOUNTAIN THAT FITS THE CHOCO FOUNTAIN TABLE! WEDDING QUALITY DELUXE FOUNTAIN 27" HIGH WITH 3 TIERS. 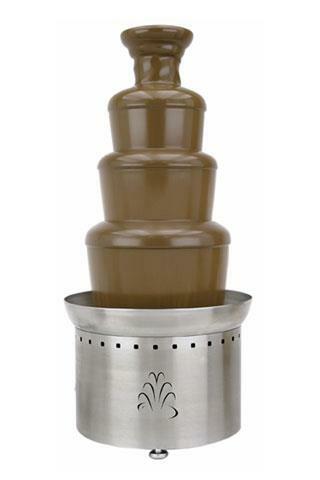 * Please call us for any questions on our deluxe chocolate fountain table avail. rentals in Tacoma, Lacey WA, Olympia and the South Sound Metro area.